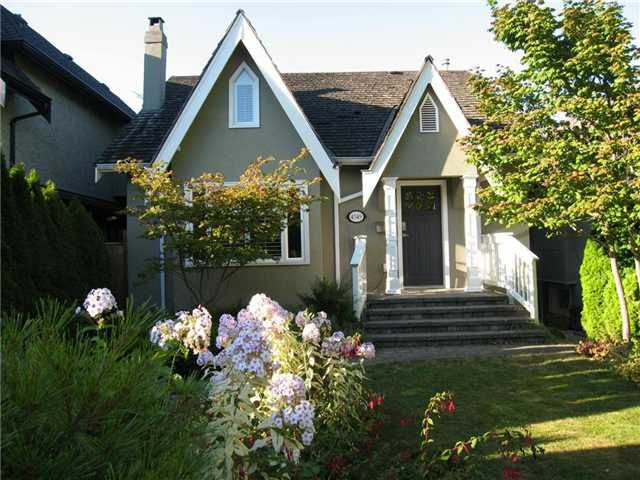 Renovated character home on a quiet street in desirable Point Grey. The top floor features 3 bedrooms with a full bathroom including a spacious master bedroom with vaulted ceilings and a computer/reading nook. The open concept main floor isperfect for young children or for entertaining. The updated gourmet kitchen, as well as the family room, opens onto a huge private sundeck. Renovated in 1998 including: new wiring, plumbing, heating, drain tiles & windows. School Catchment: Lord Byng Secondary & Queen Mary Elementary. Open Sunday, December 9th 2.00 - 4.00pm.